Richard Feynman was an extraordinarily talented physicist, lecturer, Cal Tech professor and Nobel prizewinner. He was popularly best known for his role in dissecting the 1986 Challenger Disaster. He had already long been a personal hero of mine for his Feynman Lectures on Physics, with which I became acquainted in college. 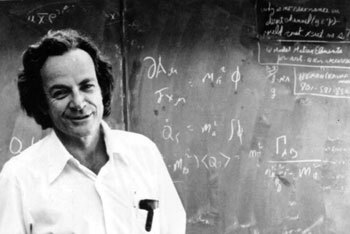 Not only was Feynman a world-class physicist, he inspired many with his leadership and investigative excellence. He was an inspirational human being with a reputation as a maverick, for whom they might have invented the phrase “think outside of the box.” As a public speaker, one could sit and listen to Feynman’s physics lectures without even the foggiest notion what he was talking about, yet figure enough of that out during the course of the lecture to walk away with a lifelong sense that physics was exciting, knowable and important. In this era of Deepwater Horizon and Fukishima Daiichi, I would give almost anything if we could have another mind physicist Richard Feynman’s to define a global approach to “low-probability, high-consequence” disasters like our Gulf Oil Spill and Japan’s horrendous earthquake, tsunami and TEPCO nuclear plant meltdown.